Gorgeous tumbled Black Agate pieces, sold in two different sizes. 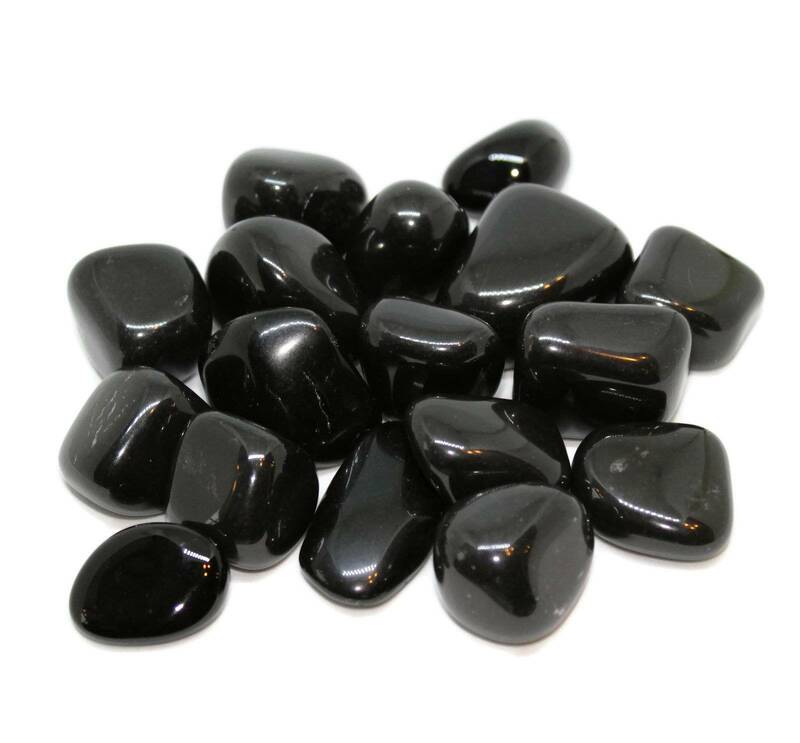 Lovely tumbled Black Agate pieces. These pieces have a decent black colour to them – with a few lighter spots and the occasional lighter band. 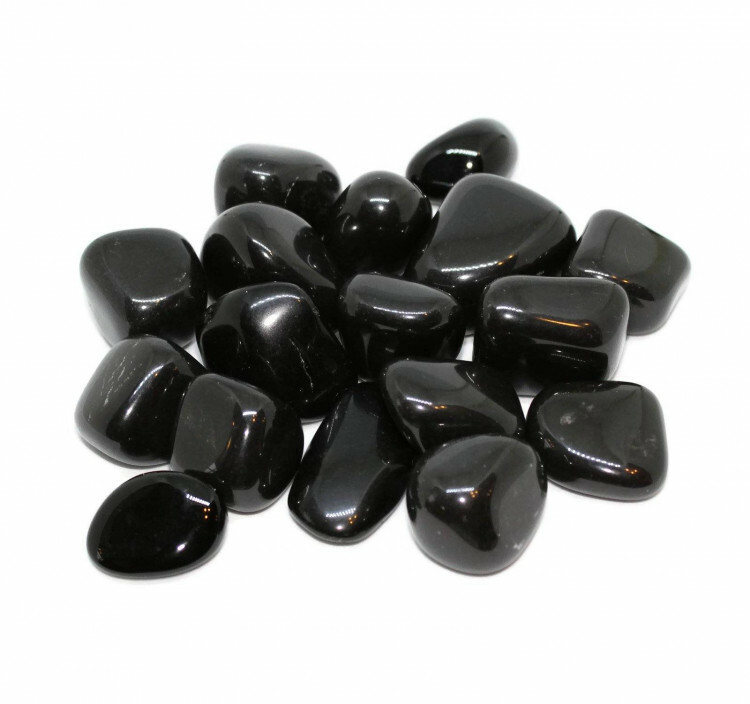 We sell these Black Agate tumblestones in two sizes, from 20-40MM approximately. These stones make excellent display pieces, and would suit being displayed in a small vase or a bowl very nicely. They make a decent contrast stone with clear or white stones, too. For more information about Agate, and a full list of all our related products, see our main ‘Agate’ category page. 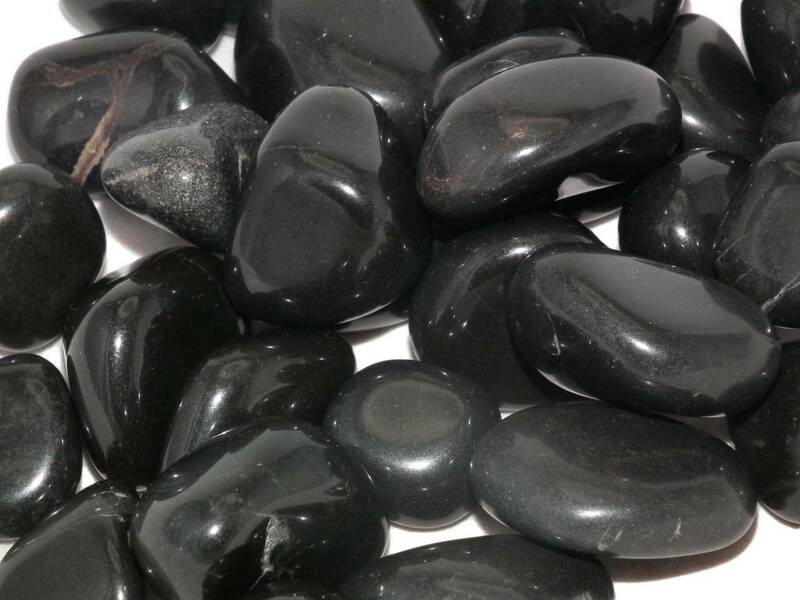 To pick out some nice contrasting tumbled stones, please feel free to see our ‘tumblestones’ category.